Agriculture is a large economic driver for the state of Wisconsin, contributing $88.3 billion annually to the economy and providing 413,500 jobs, according to the state’s Department of Agriculture, Trade and Consumer Protection. Wisconsin is also the leading state for cheese production and home to 8,000 dairy farms – more than any other state. During a recent trip to America’s Dairyland, I realized there’s much to learn about agriculture from Wisconsin farmers. A state with such a large agricultural influence provides a great perspective on the people involved, the values they hold and the challenges they face. Thanks to my visit to Wisconsin, I have a deeper understanding of and appreciation for American agriculture. Here’s why. Farmers are resilient. They are working to overcome the economic difficulties of current times. Dairy prices are low and net farm income is at the third-lowest level in the last decade, behind 2016 and 2009. One of the farmers I visited said his farm is operating on a tighter budget than usual, which means he must be more resourceful than ever with equipment investments. To put things in perspective, he explained that this year’s profit for his family’s diversified farm would decrease by 25 percent. Yet, despite the hardships they face, farmers and ranchers will do what it takes to keep going until the hard times improve. They work until the job is done. Their passion will help them through. Family is important to those involved in agriculture. Today, 99 percent of U.S. farms are operated by families. Farmers and ranchers value working with their families and want to contribute to their family’s farming or ranching legacy. They want to pass their farms down to future generations and leave their land better than they found it. Stewardship and farm succession planning are priorities for those involved in agriculture. Passing a farm or ranch down to multiple generations can be complex and is one of the biggest challenges some farmers face. The resiliency and love of family that farmers demonstrate makes it clear that working in agriculture is much more than just a job. Better support will help bring agriculture into the future. ​Wisconsin boasts many successful examples of support for agriculture. These include on-farm agritourism ventures, a culture of agricultural advocacy and a strong restaurant industry connection to farms. Agriculture advocacy organizations, like Wisconsin Farm Bureau, support farmers and ranchers and help advance their legislative priorities. Culver’s Restaurants, a burger chain launched in Wisconsin, increases awareness of farmers’ contributions to the company’s famous butter burger and frozen custard through a ‘Thank You Farmers’ campaign. Culver’s also invests in the development of young people, through a partnership with National FFA. This is in addition to helping revitalize rural America by renovating barns. These lessons learned from Wisconsin farmers about agriculture and the lifestyle it supports are invaluable as efforts continue to sustain and advance this important industry. 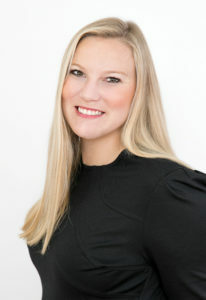 Shiloh Perry serves as the media relations specialist at the American Farm Bureau Federation. Shiloh traveled to Wisconsin to learn more about the state’s Farm Bureau structure, meet farmers and learn about the agriculture industry as a whole. Very well done Shiloh. So proud of the job your doing in informing people of the importance of helping farmers and ranchers provide food for citizens of the USA.